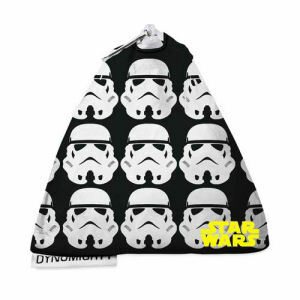 We have Just Sold out of Star Wars Stormtrooper Pattern Stash Bag. This Item is unavailable at present. From the Star Wars collection by Dynomighty. Star Wars Stormtrooper Pattern Stash Bag. Made from water resistant and tear resistant Tyvek. Measures 4 inches by 4.25 inche s and has a zippered enclosure. Dynomighty Star Wars Totes shipping from Canada. No Surprise Border fees or Customs!